Upcoming event you don't want to miss! 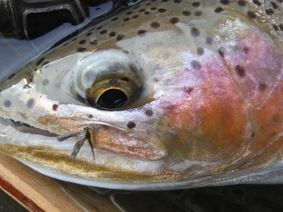 Sign Up Now on the Dry Fly Innovations Site! Flat out…the most informative dry fly presentation ever assembled! In 3 hours, you’ll be introduced to 50 years of knowledge fishing exclusively a dry fly. Tons of instructional video, cutting edge techniques, and masterful strategies are all tailored to up your game on a dry fly. The treasure trove of information contained in this class will simply “blow you away!” PDF handout emailed with purchase of class. Curriculum designed for all skill levels. Some of the proceeds will be donated to the Boise Valley Fly Fishers. Sign up now to ensure your seat!